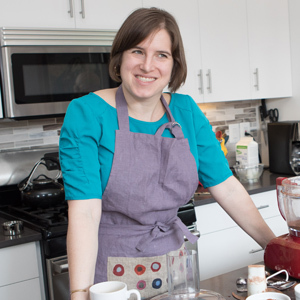 Join Marissa Nicosia as she delves into her work whipping up early modern recipes in a 21st-century kitchen. This lecture is free, though reservations are requested. Your grandmother’s cookbook may be a family heirloom that has stood the test of time, but have you ever thought about what it would be like to use early modern recipe cards in your own kitchen? That’s exactly what Marissa Nicosia does. Join us at this free pre-show lecture as Marissa discusses her work with exploring early modern cuisine in the context of today’s culinary world. Learn more about her work by visiting her blog, Cooking in the Archives. Marissa Nicosia is an Assistant Professor of English at Penn State Abington where she teaches, researches, and writes about early modern English literature, book history, and political theory. Marissa is insatiably curious about weird pamphlets, recipe manuscripts, and other rare books. Archival oddities, and modern responses to them, continue to fuel her investment in book history and manuscript studies. She has documented some of these materials on the group blog Unique@Penn, on her blog marginal notes, and twitter. Through the Andrew W. Mellon- Rare Book School Fellowship in Critical Bibliography, she has taken three courses at The Rare Book School at the University of Virginia. Marissa was a contributing editor at the Appendix where she wrote about the bizarre futures of the Mistris Parliament plays and the challenges of roasting lobster. She is the lead writer and co-founder of the blog Cooking in the Archives. This program is associated with ‘Before Farm to Table’: Early Modern Foodways and Culture, a Mellon initiative in collaborative research at the Folger. Join us after the lecture for the 8pm performance of Nell Gwynn. Purchase tickets online or call the Folger Box Office at 202.544.7077.